Cooking a nice meal for both parents and kids does not have to involve making two separate dinners.Well, not exactly, anyway. I confess to getting cold feet halfway through my prep and making myself a safety net, so let’s say this time I made one-and-a-half meals, but in the process, I really stocked the freezer for the new semester. 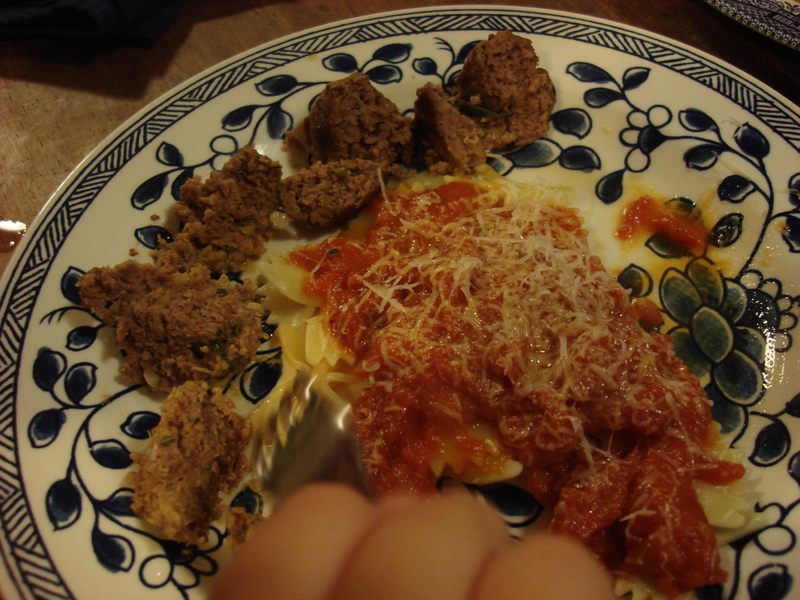 I made some “fancy” meatballs and some basic ones (that recipe later in the week) for a Single Mothers By Choice-three-family dinner here at home last weekend…pasta, meatballs and red sauce…can you really go wrong? My friend, Pam, brought the salad fixings, and Kim brought a sinful dessert (which one pretends is for the kids, but is really just as much for the growns) and everything went swimmingly! And everyone liked both fancy and plain. Regular readers will remember that when we get together, the kids dance to show approval of their meal (click here for their fave: Chicken Meuniere). At least when permissive me is in charge. So yes, there was dancing, albeit a bit less than usual, as the other moms were more anxious to keep them at the table like civilized human beings rather than conceding to let me wallow in their heathen dance of praise…ah well. 1. You can make a lot in a short period of time with very little prep. Preheat oven to 400°F. 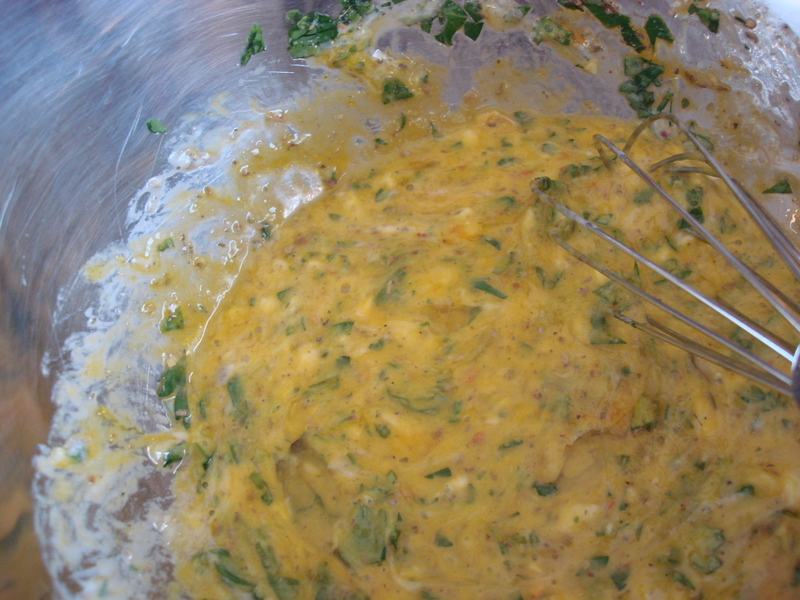 Whisk eggs, yogurt or milk, garlic, oregano, basil, parsley, and salt together lightly. Add breadcrumbs and cheese just until combined. Add chunks of meat and, using fingertips, mix lightly until combined. 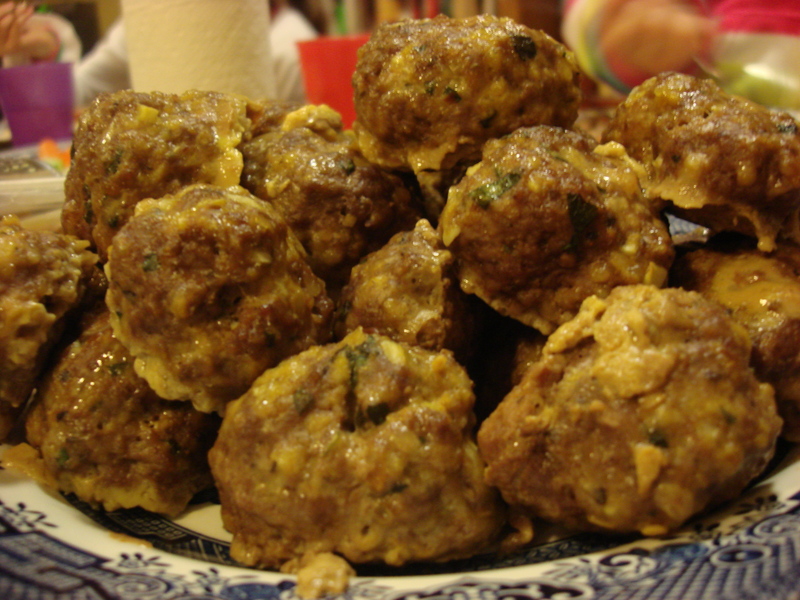 Make 2-inch meatballs, rolling just enough to make a ball, but don’t pack them. Line a rimmed baking sheet with parchment paper or foil (for easier clean-up) and grease lightly with oil. 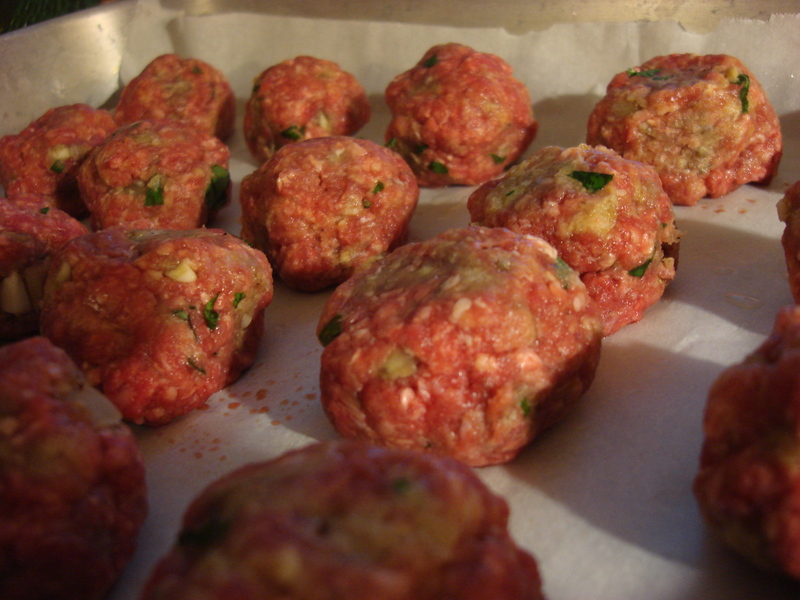 Place meatballs on sheet and bake for 30 minutes or until a meat thermometer inserted into one reaches 160°F. Serve with pasta and sauce, as a side dish, or as an appetizer. ← The pictures are awful, but these oven-roasted mushrooms are amazing! Meatballs are one thing that keeps me from being a vegetarian. Your meatballs must have been tasty and moist with the addition of the yogurt…great idea. Thanks Karen! It was especially helpful as this time I had only beef.